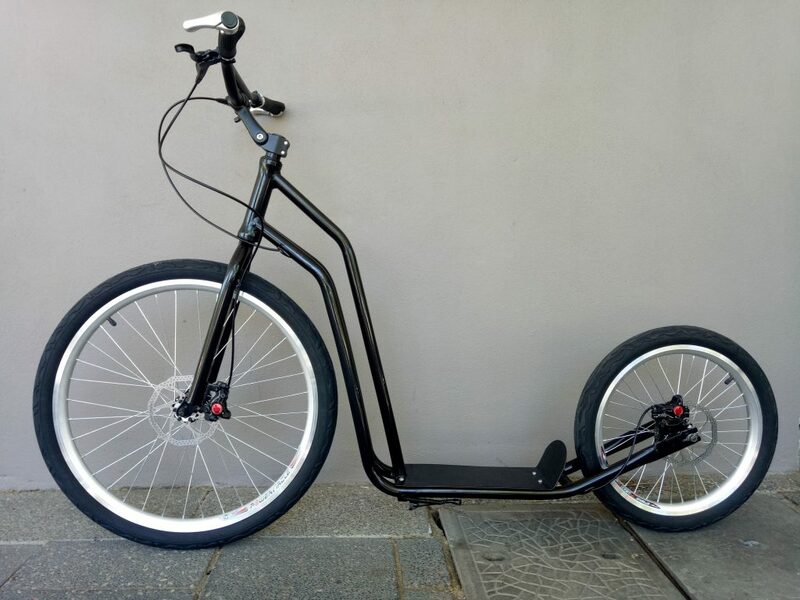 Free Full Sized Scooter With Electric Bicycle Purchase! Have you been thinking about getting an electric bike but keep putting it off? This weekend only, purchase any of our electric bikes and walk out with a full sized scooter (valued at $500AU) for free! This urban scooter is a breeze! The aluminium frame is solidly built to support big kids of all sizes while remaining light weight and maneuverable. The 26 inch front wheel will allow you to clear rocks, gravel and even curbs. It will also provide stability and allow you to reach higher speeds as you maneuver the trails or streets. The 20 inch rear is quick to get up to speed and quick to stop thanks to front and rear mounted hydraulic brakes. This promotion is only good while supplies last and will end on October 15, so take advantage! There is no better time to pick up that electric bike you have been wanting. « CARPE Diem: $400 OFF our 500W ORBEA CARPE 50 Conversion!